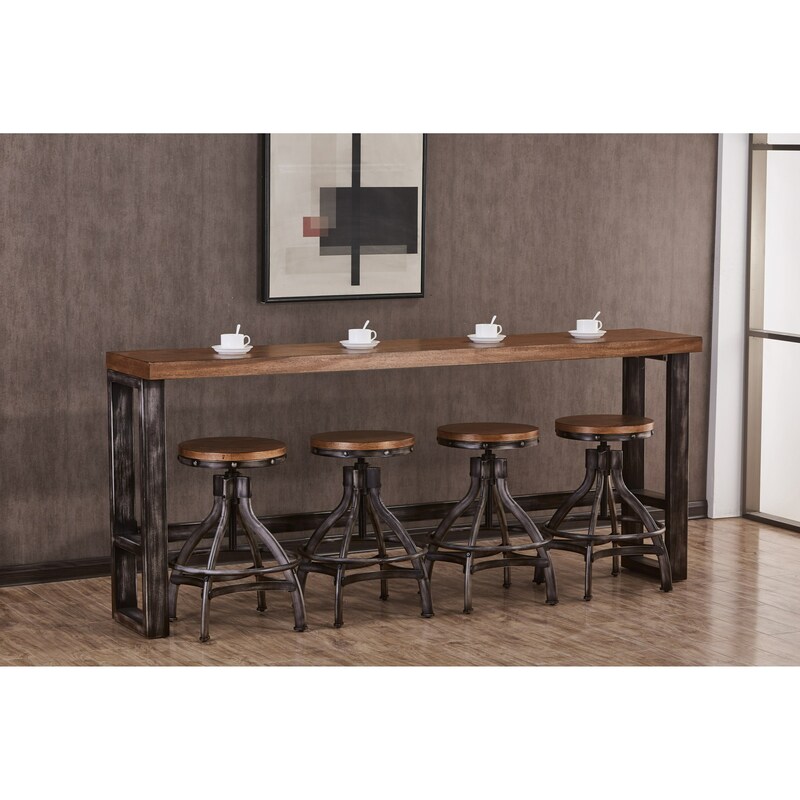 Add valuable seating without sacrificing space with this contemporary industrial console table and stool set. Featuring a long table and four adjustable stools, this console table and stool set can be placed along the back of a sofa for functional dining seating in your living room. For added convenience, each stool is adjustable, allowing you to raise or lower it depending on your needs. The Chandler 5 Pc Entertainment Set by Simmons Upholstery at Royal Furniture in the Memphis, Nashville, Jackson, Birmingham area. Product availability may vary. Contact us for the most current availability on this product.